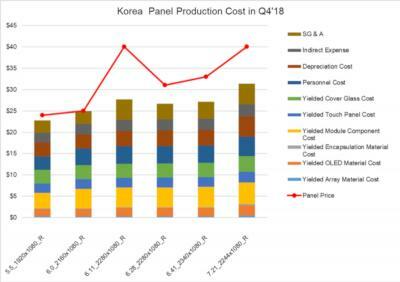 DSCC released its cost and prices estimates for Samsung's smartphone OLEDs. For rigid OLEDs production costs range from $23 for a 5.5" FHD AMOLED to $32 for a 7.21" 2244x1080 one (see chart below). For some of its rigid OLEDs, SDC enjoys a high operating margin of 30%. 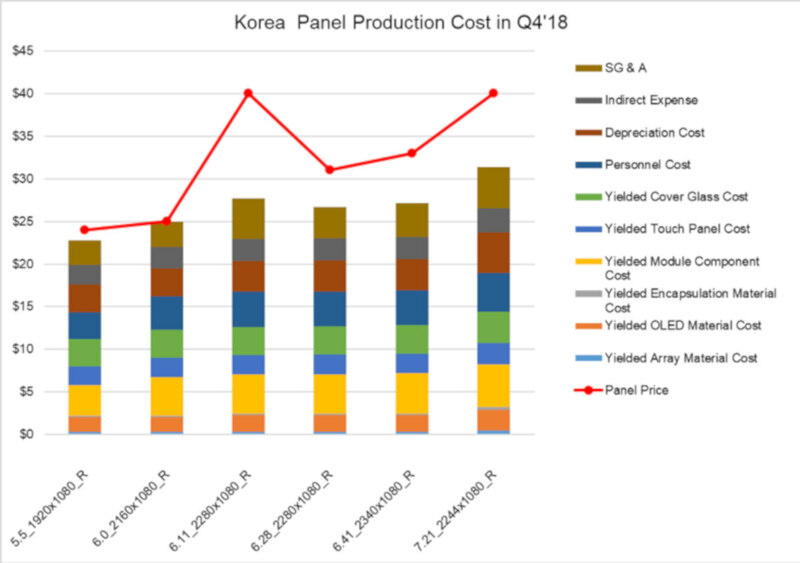 Flexible OLEDs are of course much more expensive - a 5.5" 2560x1440 panel costs almost $70, while a 6.46" 2688x1242 panel costs around $90 (as can be seen in the chart below). As in rigid OLEDs, the larger displays have a higher operating margin (up to 26% for the 6.46" panel). You can compare DSCC's production costs estimates with the recently released IHS production costs here. IHS estimates a 5.7" rigid OLED at $18.62 (DSCC: 5.8" at $23) and a 5.8" flexible OLED at $22.61 (DSCC: 5.5" costs $70 - that's quite a difference!). Want to continue reading? Become a premium user now and get full access and more benefits!